While playing with yourself in bathrooms is generally frowned upon, in the Czech Republic it will now be deemed appropriate - as long as it's in the name of preventing cancer. Special mobile toilets with the tagline, ‘Show How Tricky You Are’ are traveling around the country to help raise awareness of prostate cancer. 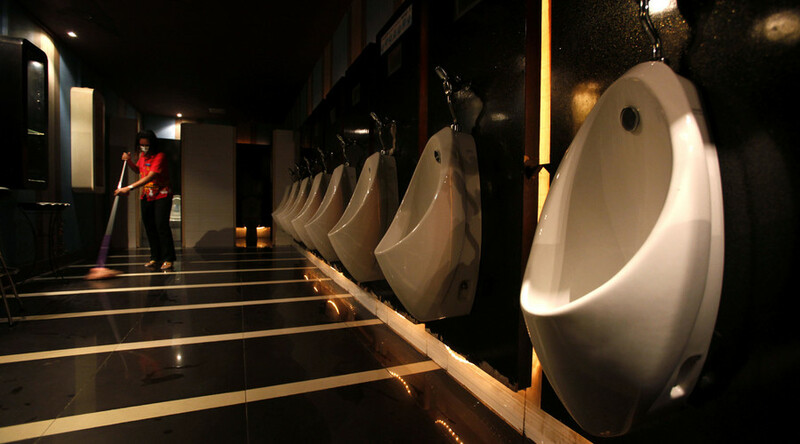 Unlike your traditional urinal, these specially-built units come with an interactive game which sees men trying to rack up as many points as they can, which happens the quicker and more you urinate, reported Denik.cz. The urinal then provides free diagnostics to users by measuring the speed and flow of urine, which are two key methods of measuring the condition of the prostate. These traveling urinals are being set up at numerous sporting and music events across the country, are free to use and will be accompanied with a leaflet on healthy lifestyles, outlining how men can look after their health. The STK for Men Fund, founded by Czech badminton player and Olympic champion Petr Koukal, is behind the initiative and hopes adding a little humor into the mix will help raise awareness among men. While two-thirds of Czech men fear cancer, according to a survey by Sanofi Pharmaceutical Company, only a quarter of them have undergone a preventive examination.